A mummified Egyptian princess returns to life and wreaks havoc. Lately it seems like every Hollywood studio is determined to develop their own extended universe, although only Disney, with their Marvel and Star Wars properties, has managed to pull it off with critical and commercial success. Such an idea is nothing new of course, as back in the 1930s and '40s Universal gave us their interweaving catalogue of classic monsters. Said studio has once again returned to their stable of ghouls with this latest version of The Mummy, which following a previous failed attempt with the much derided Dracula Untold, is intended to kick off a new franchise based around those iconic fiends - trading under the label 'Dark Universe'. When a new Mummy movie was announced, much speculation followed regarding whether it would skew closer to the original Boris Karloff version or the Brendan Fraser action series of the last decade. Horror fans and purists wished for the former, but general audiences would likely prefer the latter. The truth is this reboot is an unconvincing mix of both, unlikely to please fans of either. It's not scary or atmospheric enough for horror buffs, and it lacks the overblown spectacle that might win over the superhero crowd. The first half of the movie feels like a retread of those Brendan Fraser movies, a sub-par Indiana Jones knockoff starring Tom Cruise as Nick, a reconnaissance scout for the US military who along with his comic sidekick Chris (Jake Johnson), is using his latest assignment in Iraq to unearth long buried treasure in the desert. 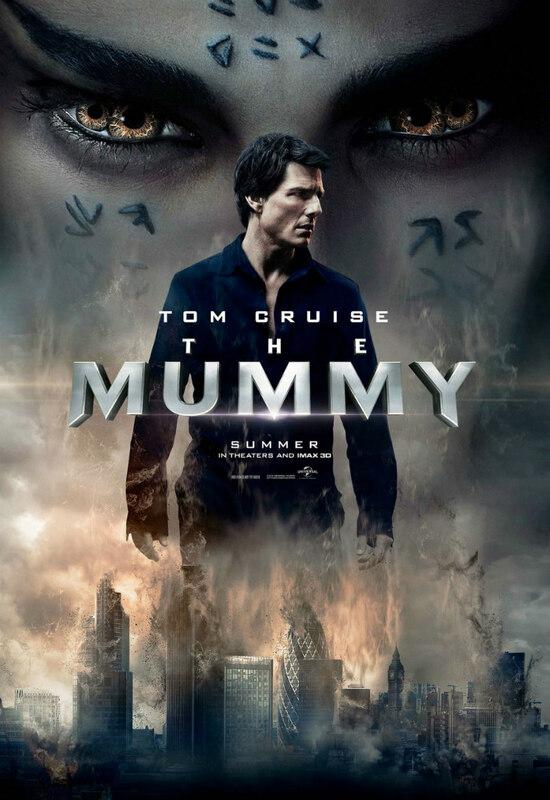 When an airstrike reveals a deep sinkhole, Nick, Chris and Jenny (Annabelle Wallis), an archaeologist whose interest in the find may stretch beyond antiquities, abseil down and discover the mummified body of Ahmanet (Sofia Boutella), an Egyptian princess buried alive centuries ago after murdering her family in an attempt to seize control of the Egyptian empire. This early portion is a lot of fun as the film attempts, with minor success, to replicate the dynamic shared between Cruise and co-star Emily Blunt in the under-seen Edge of Tomorrow. While Wallis doesn't quite have Blunt's charisma, watching her spar with Cruise is a fun time nonetheless, and her character is given a lot more agency than most female leads in modern blockbusters, even those who appear in movies named after them (Wonder Woman anyone?). Director Alex Kurtzman keeps the plot moving along at a nice zip and gives us one of the summer's most exciting set-pieces with a visceral plane crash. It's at this point that the movie, now relocated to an oddly under-populated version of England, segues into a horror film, and becomes flat and lifeless. With most of the action confined to an underground base overseen by Russell Crowe's Dr Jekyll, you get the feeling the production blew its budget on its Iraqi sequence. Much of the second half follows the format of the classic Universal monster movies; it's a confined character drama, albeit the characters are supernatural beings. What made that concept work in the classics was the larger than life performances of some of the best character actors working at the time - Karloff, Claude Rains, Lionel Atwill etc. While other movies of the era sold tickets on their star power, Universal's horrors drew in audiences with their characters, much like today's comic book adaptations. Aside from some cockney hamming from Crowe in his Mr Hyde guise, the performances are reigned in here, and seeing Cruise in this kind of scenario is like being offered a glimpse of an alternate universe in which Top Gun flopped and the actor joined his Brat Pack colleagues C Thomas Howell and Ralph Macchio in plying his trade in straight to video genre fare. Perhaps the biggest problem with The Mummy is its titular villain. What made Karloff's Mummy - and those played by an array of stuntmen in subsequent Universal and Hammer productions - scary was his physical presence. With his lumbering frame, like Michael Myers later, the terror came from the threat not of being caught by his speed, but from the idea that you might make a mistake that would allow yourself to be caught by the bandaged baddy; it's the same reason slow-moving zombies are scarier than their Usain Bolt outpacing counterparts. Transforming the eponymous evil one into an athletic, small-framed ballerina completely changes this dynamic, and this Mummy has gone from a horror monster to the sort of generic super-baddy you find in every comic book movie. The Mummy is a tonal mess. At times it's a comedy; sometimes a successful one, when Cruise and Wallis are trading jibes, sometimes not so successful, like the sub-plot borrowed from An American Werewolf in London that sees an undead Jake Johnson appear at intervals to helpfully explain the plot to Cruise and the audience. Elsewhere it's an action movie, and generally does a pretty good job in this regard. It's at its weakest when it explores its horror elements, rehashing the sort of sub Sam Raimi schtick we've long grown tired of, and miscasting Cruise as a character broken from the Bruce Campbell mould. 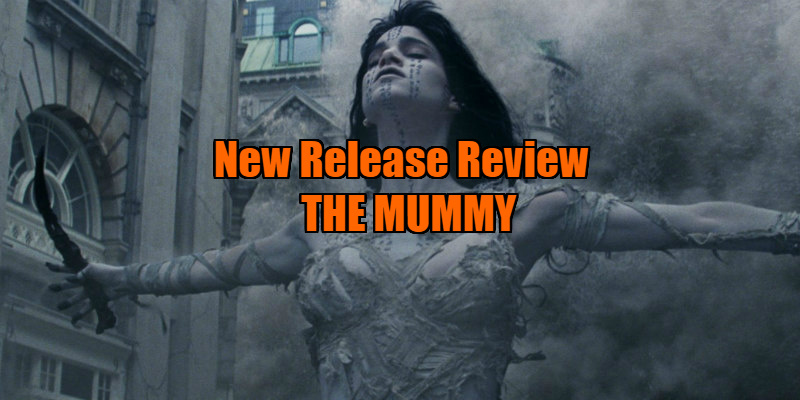 In aiming to please the widest audience possible, The Mummy has a little of something for everyone to enjoy, but even more to frustrate.